Marketers need to recognize that a social media presence is not a billboard – it’s not an empty space that you can buy and slap your message on. When you engage in a social media campaign, you’re joining a conversation – or in Kenneth Cole’s case, crashing a party to which you have not been invited. Smart marketers find a way for their social media efforts to support that connection – to not only respect the conversation that is already underway, but to strengthen and extend it with their own contributions and resources. 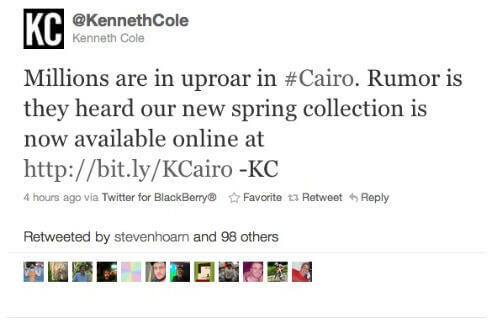 The Internet is buzzing with anger following a tweet on fashion designer Kenneth Cole’s (Chairman and Chief Creative Officer) account that many feel makes light of the protests in Egypt. 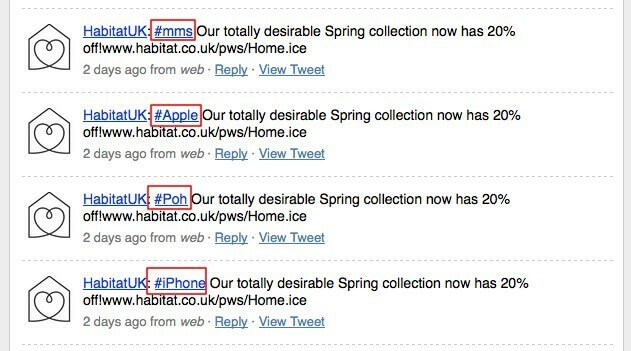 Why didn’t Kenneth Cole learn from the mistakes that UK retailer Habitat did a couple of years ago? The company employed “hashtags” like Iran election and Mousavi – being some of the most popular – to improve positioning in search results and to boost their hit rate. 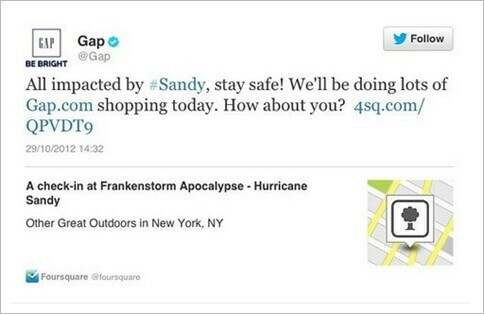 Think twice before you try to turn a natural disaster into a promotional opportunity. American Apparel offered 20% off for those in states affected by Hurricane Sandy, in case they were “bored” by the storm. Clothier Gap also made a mildly insensitive tweet, but then took it down and apologized. So don’t use a political and human situation that many people are concerned about, to market products and services.